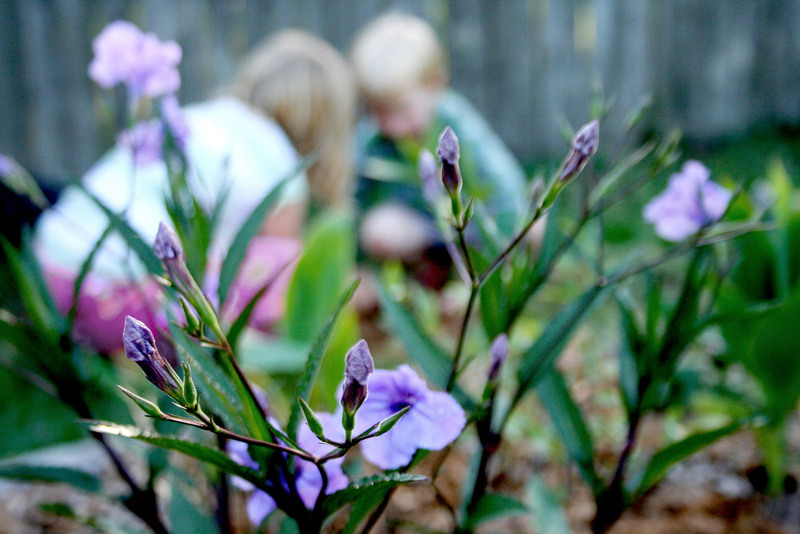 I firmly believe kids need time to play freely outside. Yes it’s nice to have tons of toys, but too many can be a bad thing. Sometimes when I look around our yard, I think we don’t have enough playthings for our kids. But it doesn’t really seem to bother them. They get to use their imaginations, which I think is so much better than being confined to crappy plastic toys. Yes, they get dirty. Yes, sometimes they get hurt and scraped. Yes, our yard is full of holes. But I LOVE seeing their smiling, mud-streaked faces when they invent a new game. I have to admit: I’m lucky my kids are imaginative, silly, and play well together.